Technology of the future is here today! ABCOMRENTS is proud to carry both touch and non-touch Transparent OLED Rentals. These screens are a stunning new development in digital signage technology that uses organic light emitting diodes to transmit images on a transparent display. The touch and non-touch Transparent OLED Rentals will be ideal for any tradeshow or event Nationwide! These revolutionary displays allow users to view content shown on a glass screen in the forefront while being able to see straight through it too. Booth and event designers can overlay content onto physical objects that sit behind the glass. Both OLED screen rentals are 55 inches and have a 1920 x 1080, full HD resolution. These displays provide a very wide viewing angle with the OLED technology and a 16:9 aspect ratio. These rentals can be installed in many different ways to fit your needs: they can be set atop a table with the built in stand, made into custom video walls, or portrait and landscape arrays. Can you imagine all of the possible use cases this rental provides?! 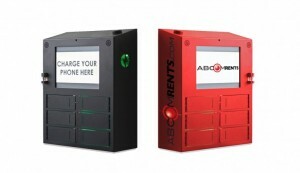 ABCOMRENTS has seen these innovative products rented for use in multiple industries. They have been used for a TV Show set in an FBI office to give a high tech and futuristic feel to the investigation rooms. Transparent OLEDs have been built into walls at museums and used as a display case with a historical piece placed behind it. We have even seen them used as windows for booths at tradeshows, which allowed sight into the booth while also displaying content on the screen. You can even use this feature as a pseudo privacy screen depending on the content shown! The Planar LO55 and the MMT Mirage transparent OLED touch display rentals offer you many new ways to capture attention and visually stun your audience! ABCOMRENTS is one of very few companies that have specialty items like these Transparent OLEDs in our rental inventory. We are extremely knowledgeable with these displays and want the opportunity to bring them to you. Let us handle the transportation and setup to ensure safe arrival and take on the leg work so that you can focus on the event. 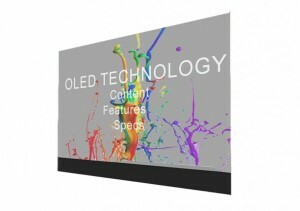 Renting a Transparent OLED from ABCOMRENTS is cost effective and worry-free. Check out our inventory next time you want to make your event truly unique!